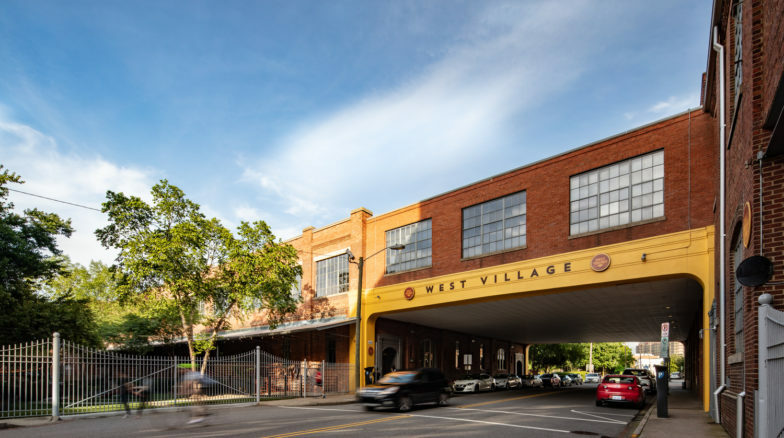 When former Liggett & Myers Tobacco Co. complex in downtown Durham, NC was converted into a mixed-use complex called West Village, it represented the state’s largest historic rehabilitation project to date. 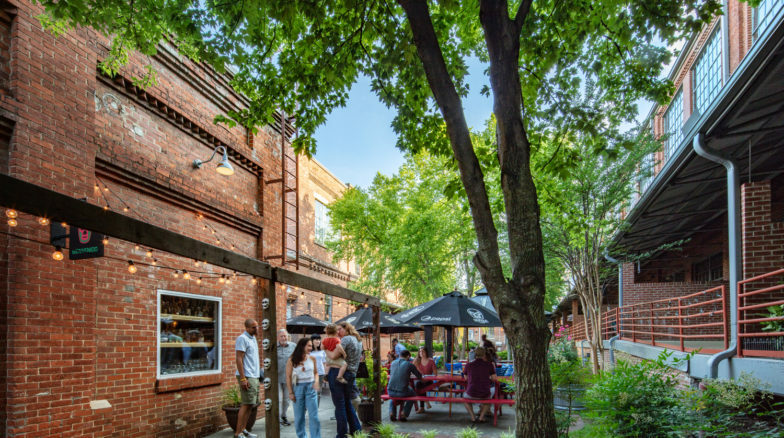 Surface 678 led site, streetscape and courtyard design for Phase II of this effort, encompassing nearly one million square feet of building space in seven abandoned industrial buildings dating from 1884 to 1949. 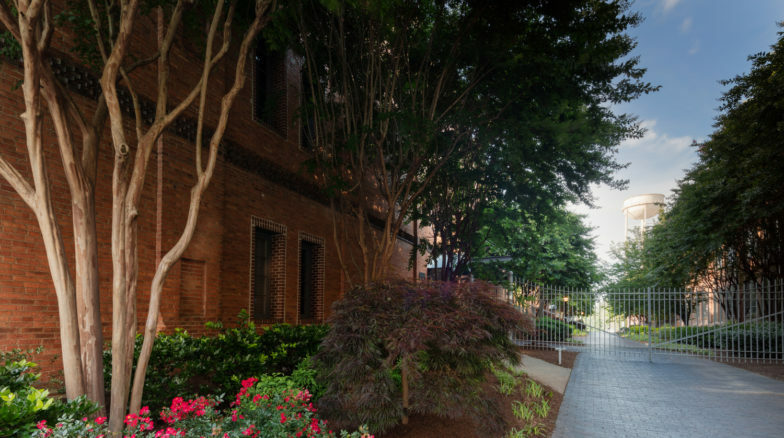 Our work included complete streetscapes, plazas and courtyard spaces that integrate a re-imagined cityscape with new building uses. Stormwater from rooftops and plaza pavements is treated in a series of planted sand filters and detention gardens, stored in two underground cisterns and reused for irrigation and to recharge a fountain in the complex courtyard.